Cryptocurrencies have come a long way since their original perception. When digital assets like Bitcoin were first made available to the public, many did not know how to get involved, and did not see much value in doing so. Now, with companies like Coinsquare, that perception is changing. In those days, many thought of digital currencies as merely being a tool for illicit activity. Seemingly, this opinion festered as a result of the barriers that prevented the public at-large from safely participating in the industry. One barrier in particular was the fact that trading and safely storing cryptocurrencies was much more difficult at the time. In the modern day, the public has furthered its understanding of cryptocurrencies and Canadians are more aware of the industry than ever. This is especially the case thanks to it becoming increasingly easy for the public to purchase and engage with digital assets. Largely, these developments are the result of both advocacy from the cryptocurrency community, and the innovators championing the digital currency movement and eliminating the barriers for entry that historically stood in the way of investors. One of these innovators is Virgile Rostand, the founder, president, and CTO of Coinsquare. Rostand’s early educational pursuits can be traced back to his undergraduate degree at the French-language public research university of Université Laval. In 2002, Rostand graduated from the university with a Bachelor of Science in Mathematics. Rostand continued along his educational trajectory through earning a Master of Science in Applied Mathematics from the same university in 2004. He further earned a Ph.D. in the same field of study, as well as a Master in Mathematical Finance from the University of Toronto. While spending time pursuing finance and mathematics, Rostand also turned his attention towards teaching for a brief period of time. While serving as a lecturer at Université Laval in 2005, Rostand taught a numerical analysis course designed to educate burgeoning engineers. In doing so, he demonstrated that even from an early point in his career, he was not only interested in understanding the world around him, but in giving others the ability to do the same. The year 2008 marked many significant changes for Rostand. Not only was he committed to embarking upon his career with his educational accolades behind him, but the field that he was pursuing began to show signs of rapid change. The global financial crises is said to have officially hit Canada in 2008, following the Great Recession in the United States which began in December 2007. The consequences of Canada’s recession were not as severe as those experienced in many other parts of the world, but still prompted necessary shifts in the country’s approach to finance. Canada’s efforts to fight against the recession served as the backdrop for Rostand’s work as a financial engineer and software developer for R2 Financial Technologies, a financial risk management software company. His departure from R2 Financial Technologies in September 2010 arrived at a time when Canada had largely proven that its recession was over. Indicators showed that businesses were rebounding and the country’s monthly GDP recovered to its pre-crisis peak later that year. Despite the country’s economy recovering, it is not difficult to empathize with the growing level of distrust that has since been observed in the public’s perception of financial institutions. 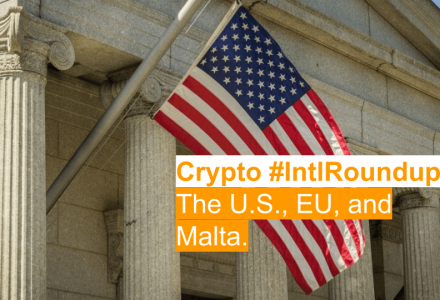 In many ways, this may have driven the growing support behind Nakamoto’s vision of a currency free from the control – and mistakes – of intermediaries. From December 2011 to August of the following year, Rostand worked as a consultant for the Bank of Montreal, serving as a project coordinator for the bank’s market risk division. At the same time, he served as a financial engineer and quantitative developer consultant for the Toronto-based technology and software development consulting company, goNumerical, until 2014. On the heels of Bitcoin’s sporadic rise between 2009 and 2013, Rostand became increasingly aware of the industry. In 2014, he was attracted to the idea of allowing others to share his enthusiasm for digital assets. With his background in mathematics and his previous engineering roles, Rostand found it difficult to ignore the emergence of blockchain technology. As a result, he set out to build a platform that could prove disruptive in the wake of an economy he knew to be constantly changing. According to his statements to MaRS. Rostand founded Coinsquare as a way to invest his time and career in the cryptocurrency industry. 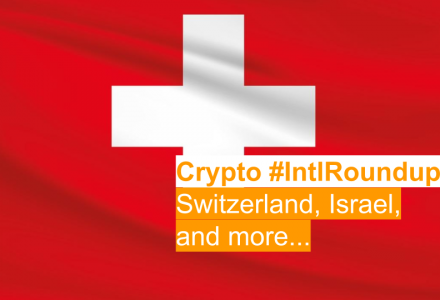 At the time, he recognized the growing demand for cryptocurrency exchanges, and incorporated Coinsquare in 2014. Following the platform’s launch, he had to act in many roles, serving as Coinsquare’s marketing director, its security analyst, and even its support chief. It wasn’t until the addition of co-founder and CEO Cole Diamond in 2017 that Rostand found a teammate to join the journey towards his ambitious goal. Luckily, Rostand’s efforts were not in vain. 2017 brought massive changes for the platform he built, with Coinsquare raising $30 million in venture capital funding. With this, Coinsquare’s staff expanded to include finance veteran Ken Tsang as CFO, Tulip Retail founding team member Robert Mueller as COO, financial services serial entrepreneur Lewis Bateman as CBO (Chief Business Officer), and banking and anti-fraud veteran Charlene Cieslik as CAMLO (Chief Anti-Money Laundering Officer). To-date, the world of finance continues to constantly grow and take shape, with cryptocurrencies serving as a key example of how pioneership can change the world around us. With Coinsquare planning European expansion by the end of 2018 and already live in the global market with Coinsquare Licensing, the Canadian giant is set to take on the global stage. 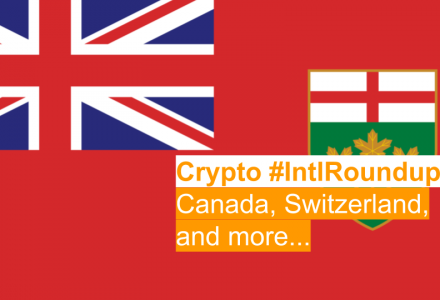 This evolution of Canadian companies dominating the world is likely to continue should Canada succeed at maturing the industry through regulation, growth in adoption, and pioneers like Rostand looking to disrupt the few remaining barriers between cryptocurrencies and the public. 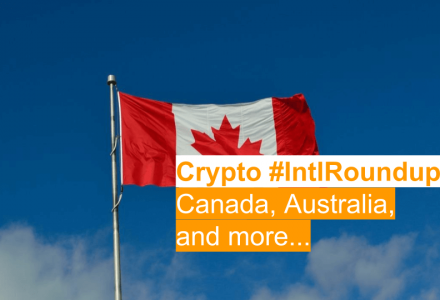 As part of a regular series, Coinsquare News is profiling some of the Canadian blockchain industry’s most significant figures. This series is designed to provide a view into the backgrounds and minds of these prominent individuals for both new investors and experienced digital currency advocates.